Chicken.. we all love that bird… In any form, boil, broth, fried, dried, ok may be not dried, but curried and especially when they are slow cooked on skewers.. I just love kebabs and I could eat them and specially when you add colourful vegetables to them and gently marinade for hours together with special mix of ingredients and then slow grill it yummy..
My love for kebabs started long before I learned to speak a correct sentence.. Blame it on my folks.. When ever we would be out on road travel, especially India.. Dad had his patent food.. kabab and roti (hand-made bread) safe easy food , less spicy. Even on weekends.. Mum would be like I am not in the mood to cook.. let us just do some take away.. any guesses??? Kebabs off course and so once you get use to the taste, then there is no looking back… it is like you have tasted blood…. Kebabs are an integral part of my palate.. It is something I love-making and enjoy sharing…. or you could use yellow and green or orange pepper or all of them. Mix the garlic, ginger, orange zest and spring onions to a paste in a food processor/mixer or with a spoon what ever is convenient . Add the honey, orange juice, soy sauce and oil, then blend again. Pour the mixture over the cubed chicken and leave to marinate for at least 1 hr, but preferably overnight. Toss in the mushrooms for the last half an hour so they take on some of the flavour, too. 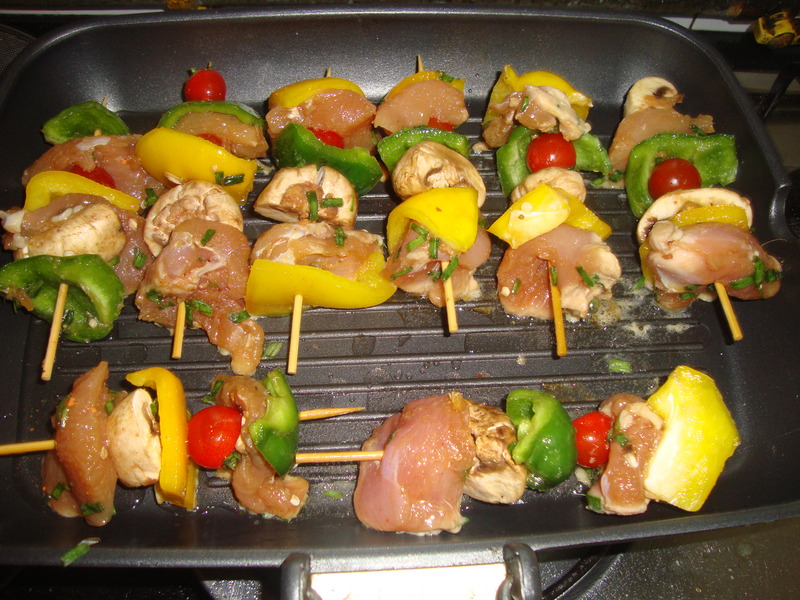 Thread the chicken, tomatoes, mushrooms and peppers onto 20 wooden skewers, then cook on a griddle pan for 7-8 mins each side or until the chicken is thoroughly cooked and golden brown. 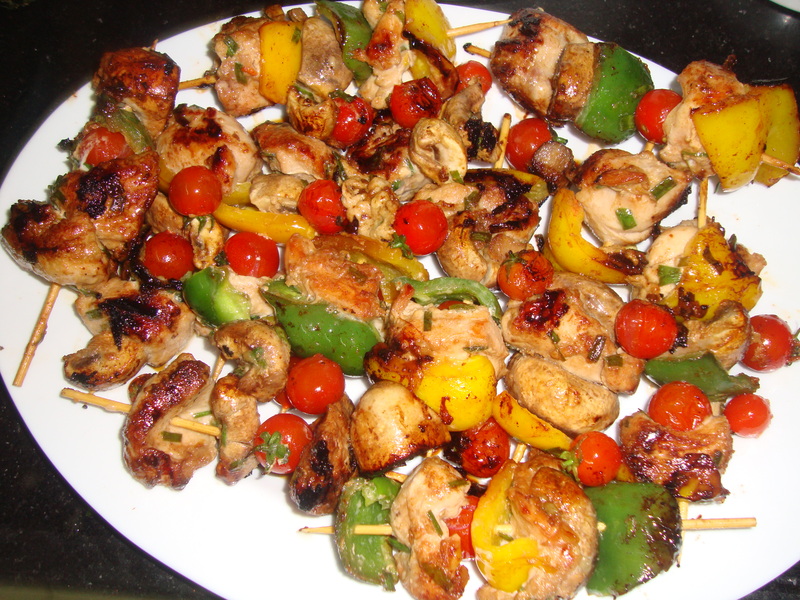 Turn the kebabs frequently and baste with the marinade from time to time until evenly cooked. Arrange on a platter, scatter with chopped spring onion and eat with your fingers. Previous Post The Fruit we all love..